Whenever I seem to mention Formula four people seem to pause for a moment, look at me and then question "did you say formula ford?" my answer is of course "no" which generally leads towards discussions about what exactly was formula four? When I speak of Formula Four i am referring to the 1960's variety, although more recently the columns of the motor sports media is once again being filled with talk of both FIA and MSV Formula 4. 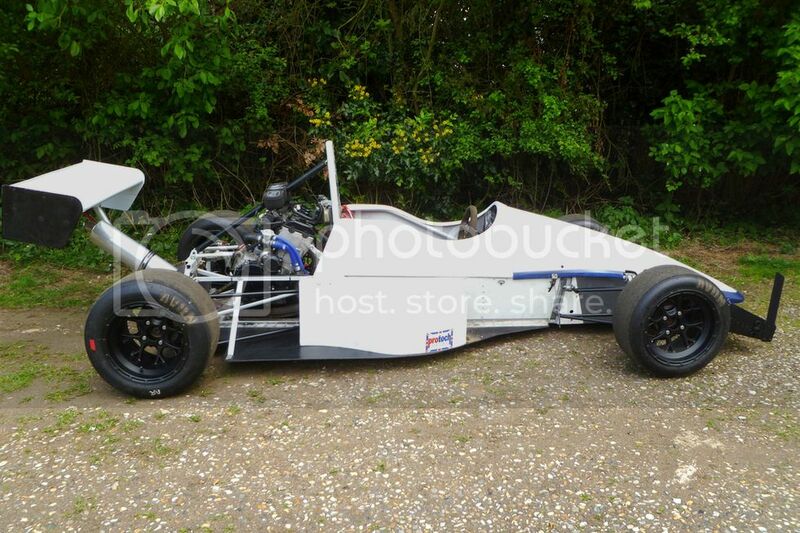 This thread is not about single seaters with wings producing 185bhp and costing in excess of £30,000 but instead something entirely different and originating from the grass roots of motor-sport. Formula four racing can trace it's origins back to 1962 in the US where the first F4 races were held. The cars were typically scaled replicas of the F1 cars and powered by 250cc motorcycle engines. It didn't take too long for the idea to be brought to Britain by American Servicemen working in Europe and in 1963 Trak-kart built the 500cc Triumph engined TK. As the concept gathered momentum in Europe in 1965 Tecnokart in Italy began producing the Tecno powered by 250cc Ducati engines and In the same year the first Johnny Walker cars appeared from their Gloucestershire factory with the JW4 Mk1 powered by the 250cc Villiers Starmaker. Johnny Walker was better known at the time for operating a bearings and machine tools business but he had a keen interest in motor sports through his son Stephen for which he'd built a kart they'd successfully competed. Walker saw the potential of Formula 4 and their first car emanated from someone who approached them with a design into which they built in the 250cc engine. The car was initially competed against the 750cc motor-club cars and with the interest this created Johnny Walker Racing Ltd was subsequently born. They employed David Peers a racing designer as their manager, together with a couple of engineers with previous racing car building experience and entered negotiations with the RAC and FIA for the formula to be officially recognised. The first car the Mk1 was 250cc but this proved to be slow and unreliable so the 650cc Mk2 was born fitted with a BSA engine and reportedly was capable of 120mph around Castle Combe. One of the conditions of the new Formula was that the cars should have a basic price (complete with engine) for less than £650. And following the new formulas acceptance by the RAC production of the new cars began. The regulations allowed for 3 classes which were 250cc and 650cc using motorcycle engines and 875cc which used car derived engines. The Mk3 & Mk4 JW4's were fitted with 875cc Imp and Saab engines. All the classes were tightly controlled for cost and engine tuning. Initially while the grids were small the cars were competed with the 750 motor club in Formula Libre however for 1967 and 68 they had their series comprising of around 7 rounds which included the British Grand prix meeting at Silverstone in 1967. Notable works drivers at that time for JW4's were Bev Bond and Derek Minter who had switched to four wheels following his retirement from motorcycle racing. In 1968/69 Johnny Walker teamed up with aerodynamic designer Frank Costin and together they built a completely new car the Costin Walker. The chassis was designed for a number of different engine options including Imp, Honda, Saab and Ford. It could also take any FIA formula 2 engine making it eligible for Formula 5000. In 1969 the car was exhibited at the international Racing Car show at Olympia receiving much interest and publicity. It was unfortunate that just as Formula four was starting to get going Johnny Walkers firm suddenly went into liquidation. This left left Tecno as the only major manufacturer and a handful of smaller companies producing specials and in November 1969 Johnny Walker retired from racing. It's reported that altogether some 50 cars were built and shipped all over the world including Japan, Jordan, Sweden, Belgium and Germany. Formula four racing ended soon after, but the cars lived on by adapting to complete in many different series and in 1970 the 750mc took Formula four under its wing amending the regulations to allow for 1000cc engines and aerodynamic devices. The JW4 did however live on to be used as the base for the Jedi Mk1 and many of the original cars have since evolved and now wear Jedi Bodywork and modern motorcycle engines. How many original cars still exist i cannot be sure? Of the owners I have managed to make contact with all the cars are now "slicks and wings" Jedi's and I'm only aware of two other cars such as my own that may be close to original, one in the USA and the other possibly now in south Wales. I enjoyed the historical bit! It looks like a very interesting build and I can't wait for pictures and progress. Best of luck and I hope it's a success. I'll be watching this one. Great project. Are you intending to race it? If so what in? Thanks Chaps its certainly been an interesting project so far and it hasn't been easy trying to find owners or information about the cars. There is very little detail out there either in print or on the internet so it is here that the real challenge lies when you're trying to rebuild a car to be as original as possible. Are you intending to race it? If so what in? The initial plan is to do a few sprints with it. I've sprinted at Crystal Palace the last two years and this would be perfect for that event, but it's also elegable for some of the HSCC, VSCC and 500owners association events. A short history of my car. I know little of the history of my car prior to 1984 when it came into the possession of the previous owner to myself. It had been owned by a gentleman who was a farmer in North London. And at that time the chassis had been modified by fitting a mini engine to the back of it to be used by his son. The cars demise came however when it was promptly driven into a pond and his son quickly lost interest in it. The car was given to their friend Dr Holmes Pickering of Datchet, and by then was looking in quite a poor state as the photos show. The car was stripped, but it was not until the December of 1987 that repairs to the chassis were completed by Rod Pickup of Blackburn; new Mk3 bodywork was also sourced from the original manufacturers Specialist Mouldings Ltd of St Neots. I know not why but for the next few years nothing was done to the car and it was left sitting in storage. Possibly this was because despite his best efforts Dr Pickering had failed in his attempts to convince the 500owners association to amend their regulations so as to allow cars with smaller 10” wheels to compete but maybe also because he had a number of other projects on the go which included a 1935 AC 16/90. Through the 90’s and 00’s I have various correspondence that shows efforts were made by him to try and sell the projects on to others but these were unsuccessful despite having received several offers, albeit not for the asking price. Through further misfortune in early 2012 some of the rear suspension was lost during a break-in at his storage lockup. Sadly in May last year Dr Pickering passed away aged 77 and it was from his son Dave who I subsequently purchased the project. I initially came across the project advertised on ebay but at that time the asking price was too high for me or others and it was unsold with no bids. Seeing it not sell and still interested in the car I approached Dave Pickering to try and find out more about the car and at the same time begun researching a car and race series which up till then I had never heard of before. Dr Pickering had been fastidious in his research trying to contact previous owners and gathering together an archive of information of Johnny Walker Racing Cars. Amongst the piles of literature were sales brochures, price lists, race regulations and copies of various letters, correspondences and photographs of a couple of cars. Of greatest use to myself though was one particular document which was a copy of the full parts listings and detailed drawings for every component used in the construction of a JW4. Information such as this would be invaluable to allow me to remanufacture the missing parts from the car. With a deal quickly agreed, and the car loaded up for the journey back home around the M25. Soon after however came the realisation that I had far too many projects on the go and nowhere near enough room to store them all. Proof however that it is just about possible to fit two Westfield’s and a single seater into a garage. The decision was made that my Narrow project would have to be sold. It had already given me a lot of enjoyment bringing it back from the dead, but I already had one Westfield and no real need for a second and I didn’t have the same bond with it as I do my Wide car. With the narrow in the way and it taking longer than I expected to sell, I had little chance to make any progress on the JW4 while the chassis was hung out of reach from the rafters. The next few months have been spent researching, reading and drawing together as much information as I can. My library now has an interesting collection of books on club level racing in the 1960’s. I’ve made contact with several owners, although sadly theirs are non-original cars and with the help of this forum identified a suitable engine. Early on in the project after I’d just bought the car I was unsure what direction the build would take. I wanted a car that would be usable, but also true to its history and origins. Luckily this forum made me see sense that a period engine would be the way to go. I started trying to source a suitable 500cc twin, as that would allow the car to run with the 500oweners but also in sprints in the under 600cc category. I put the feelers out for an engine, and spoke to many of the historic motorcycle breakers and triumph specialist, but It turns out that Triumph 500’s are like rocking horse doo and command a pretty hefty price tag, I looked at several that were circa £1500 and seized solid. Eventually through the luck of ebay one became available in Sheffield. It didn’t appeal to the Triumph restoration aficionados as it was built around the crank case of a T90 and had been rebuilt with a 500cc T100 top end. For me however it was perfect and best of all it had come from a working bike. Bidding finally ended at 2/3 the price of the other engines I’d viewed. A day trip to Dronfield from Colchester isn’t the most exciting of journeys as a 7 hour round trip, but the seller Reaney Motorcycles made me feel welcome, laying on the tea while we kicked tyres and kindly throwing in a few extra spares for me too. Car Details:Westfield XI, DJ Firehawk Supercharged. Well done Mark finally getting the build and the thread started. Looking forward to following your progress. Car Details:92 sei narrow going zetec v.soon! It's ironic that if the car hadn't spent much of it's early life in this way then it may not be as complete or original as it is now. It could easily have followed the path of many others JW4's and evolved into something much akin to this one.